In 1999, at the 30th Session of UNESCO’s General Conference, countries adopted a Resolution that established the notion of ‘multilingual education’ (30 C/Res. 12) to refer to the use of at least three languages in education: the mother tongue(s), a regional or national language and an international language in education. Since then, UNESCO has been promoting, as and when relevant, multilingual education as a means to improve learning outcomes and give life to cultural diversity. Literacy programmes and methodologies are most relevant and respond to the needs of learners when they are context-related, bilingual and support intercultural understanding within the framework of lifelong learning. (cf. The Education 2030 Framework for Action, Target 4.6, para. 59). Multilingual education based on the mother tongue (s) in the early years of schooling plays a key role in fostering respect for diversity and a sense of interconnectedness between countries and populations, which are core values at the heart of global citizenship. As such, it contributes to the fostering of learning to live together, in line with Target 4.7. UNESCO undertakes advocacy and awareness-raising work through the annual celebration of International Mother Language Day (IMLD) on February 21. 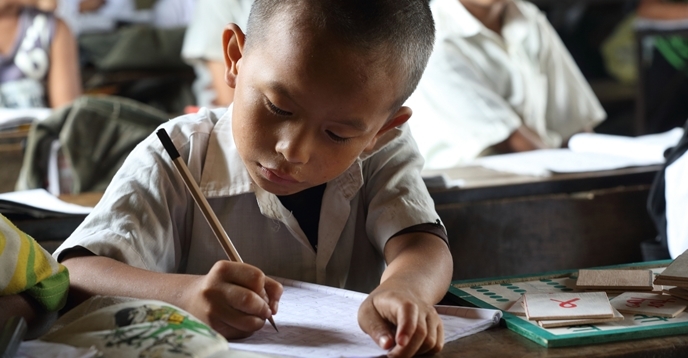 UNESCO also produces studies and reports that help advance the recognition of multilingual education based on mother tongue(s), notably in early years of schooling, with the overall objective of supporting the achievement of SDG 4 on Education, and Target 4.6 in particular. Finally, UNESCO pays particular attention to the promotion of multilingual education in support of Indigenous peoples. UNESCO participates in, and contributes to, the Permanent Forum on Indigenous issues (UNPFII) and the OHCHR and UNESCO joint Indigenous Fellowship programme. UNESCO provides briefings focusing on the role of mother tongue education and the development of indigenous peoples, to indigenous fellows, and organizing training for these fellows.